Simon gained his PhD in Geology at Cambridge University in 1984, and went on to study the origin of mountains in New Zealand, Tibet and the Andes. He was at Oxford University for 22 years, first as a Royal Society Research Fellow, and then University Lecturer and Fellow of St Anne's and St Cross Colleges. He has a major interest in communicating his subject to a wide audience, and has been closely involved in television science documentaries, both as scientific adviser and producer, including the BBC Horizon programme 'The Man who Moved the Mountains', and the eight part BBC Earth Story series. Simon has also written two popular science books, one for the 'Earth Story' series (with David Sington), and most recently 'The Devil in the Mountain' on his research in the Andes. 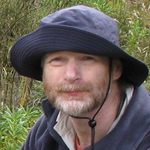 He is currently Associate Professor in Geophysics at Victoria University of Wellington.